Running in Dubrovnik, Croatia. 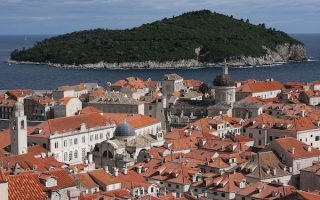 Best routes and places to run in Dubrovnik. Dubrovnik is a Croatian city on the Adriatic Sea. A popular seaport directly across from Italy, this walled city and UNESCO World Heritage site has become hugely popular with tourists since the its restoration and repair following damage sustained from the Yugolslavian civil war of the early 1990s. 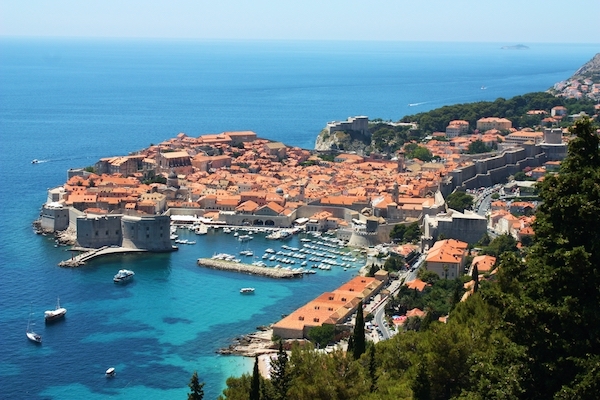 Running in Dubrovnik can be spectacular, but you have to choose your spots. Running is not generally encouraged in the the walled-in (Old Town) section of the city, due to its hills and narrow, cobbletoned streets. 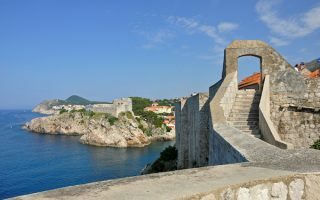 The best places to run in Dubrovnik are along the seaside promenades on the Lapad Peninsula and adjoining Babin Kuk. There is some good running along less trafficked roads above Dubrovnik, with great views (and hills!). One of the best seamless running spots is along the river between Rožat and Stara Mokošica. A quick ferry ride over to the island of Lokrum offers wonderful trail running. And for those who want sneak in a run in Old Town, get up early to beat the crowds, and be prepared to do hills, stairs, and create your own, maze-like route. 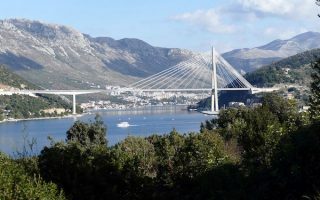 Located on the northern part of the Lapad Peninsula, Babin Kuk is one of the greenest spots for running in Dubrovnik, with paths, promenades, and great views. A route around the perimeter is 6.4 km. Two forest parks with about 3 km of trails. 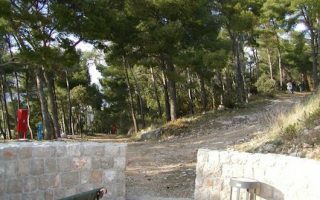 More rugged, gravel paths on Mala Petka Hill, while the Velika Petka has a paved path that leads to the top. Hilly running, with fantastic views. Extend with other paths in the area. A 12km "highlights tour" combining several of our Dubovnik routes: a section along the water, a loop around Babin Kuk, and the lovely trails of Forest Park Velika and Mala Petka. Mostly on paths, with great views and some hills. Running on Srd Hill offers one of the better opportunities for some hilly, relatively traffic free running above the old city, with great views. After an 800 foot switchback climb over 2 km, a relatively flat 2.8 km along Srd. Ul. 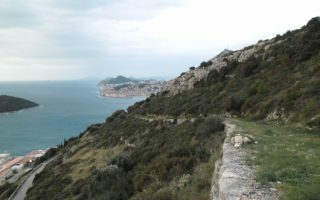 The road above the old Hotel Belvedere and Orsula Beach offers some good car-free running in Dubrovnik, with great views of the water. For a longer run, head towards the Ploce Gate to the old city. One of the longer, flatter, seamless running opportunities in the Dubrovnik area, 8 km northeast of the city. 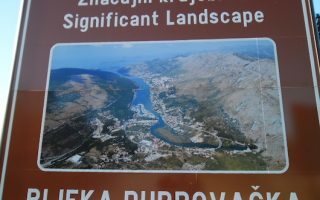 The road runs right along the north side of the river from Rožat to Stara Mokošica, 6.7 km out and back. Great views. A small island only 600m from Dubrovnik, Lokrum is a sea of green and great for running. There are 6-7 km of paths, most with great views of the city and the sea. A highlight is the "Celestial Way' path, a hill leading to Fort Royal. 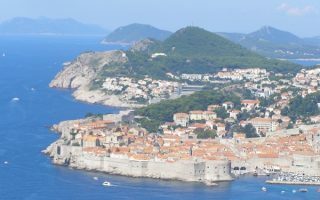 Dubrovnik has a hybrid borderline humid subtropical and Mediterranean climate, with warm, humid summers and mild, wet winters. Winds moderate the heat in summer. Average summer high temperatures are in the low 80s (28C), and nights stay warm. Average wintertime highs are in the mid-50s (13C), and temperatures below freezing are not common. Rainfall averages about 40 inches annually, most of it occurring in the form of thunderstorms. July and August are significantly drier than the other months. There are not very many hotels right in the old city. But for access to the best running, staying on the Lapland Peninsula is a good bet. There are lots of hotels on the northwestern side, near the Forest Park and in Babin Kuk. Intersport Dubrovnik is your best bet in the area for running gear. 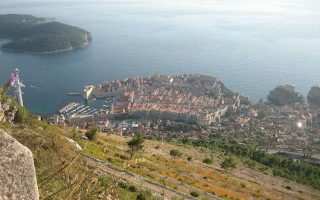 Dubrovnik Running Tours offers group runs (for a fee). Wonderful runs of historic areas led by a guide. DuMotion has terrific running events several times a year, including ‘run the wall’.